What a privilege to be a patron for such a necessary and excellent organisation. I hope I can be of service and help to these wonderful singers by encouraging and challenging them. Helpmann Award-winning soprano Taryn Fiebig is one of Australia most popular and versatile artists. In 2017, she sang Musetta (La bohème) for Opera Australia; Michal (Saul) for the Adelaide Festival; major roles in Pinchgut Opera’s Triple Bill and the title role in The Merry Widow for West Australian Opera; in concert, she was soloist with Sydney Philharmonia, Auckland Philharmonia and the Opera Australia Orchestra. 2018 has been a rich and life changing year, with the unfortunate news she had ovarian cancer, Taryn had to cancel two seasons with West Australian Opera one singing Musetta in La Bohème and the title role in The Cunning Little Vixen. However in and around treatment Taryn performed Strauss’ Four Last Songs, for the Adelaide Festival with the Tinalley String Quartet and Daniel de Borah, Haydn’s Creation with the Sydney Philharmonia , and recorded Roger Smalley’s Nine Lives with Scott Davie and, has now just returned to OA in Brian Howard’s opera Metamorphosis, to great acclaim. 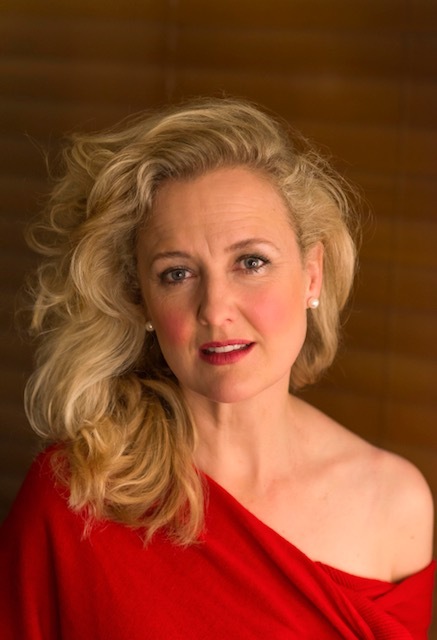 Taryn has performed with all the major Australian opera companies, the Australian Chamber Orchestra, Australian Brandenburg Ensemble and the Sydney, West Australian, Adelaide and Queensland Symphony Orchestras. Internationally, she has sung for the Edinburgh Festival (as Lucy Joy in Opera Australia’s production of Bliss), in America for the LA Ear Unit and in the UK with the English Chamber Orchestra and for BBC Radio 4. In 2004, Taryn joined the Young Artists Program at Opera Australia; she remained with OA as an ensemble member until 2010 before becoming a freelance artist. Roles for Opera Australia include: Susanna, Zerlina and Despina in Sir David McVicar's trio of Mozart productions (The Marrige of Figaro, Don Giovanni and Così fan tutte), Pamina and Papagena in The Magic Flute, Musetta in La bohème, Servilia in La clemenza di Tito, Oscar in Un ballo in maschera, Clorinda in Cenerentola, Lisa in La Sonnambula, Belinda in Dido and Aeneas, Aphrodite in The Love of the Nightingale, Karolka in Jenufa and The Woodbird and Gutrune in Der Ring des Nibelungen. Her performance as Lucy Joy in Bliss earned her a Helpmann Award. For New Zealand Opera, she has sung Esmeralda in The Bartered Bride. A musical theatre highlight for Taryn was over 200 performances as Eliza Dolittle in Opera Australia’s National Tour of My Fair Lady. Gilbert and Sullivan roles have included The Plaintiff inTrial by Jury, Mabel in The Pirates of Penzance, both Tessa and Gianetta in The Gondoliers and Yum-Yum in The Mikado. Taryn is also an accomplished cellist leading both the Western Australian Youth Orchestra and the Australian Youth Orchestra. She continues to play and appears in concert as both singer and cellist.